Bath & North East Somerset Council road safety - can't be bothered or forgotten? 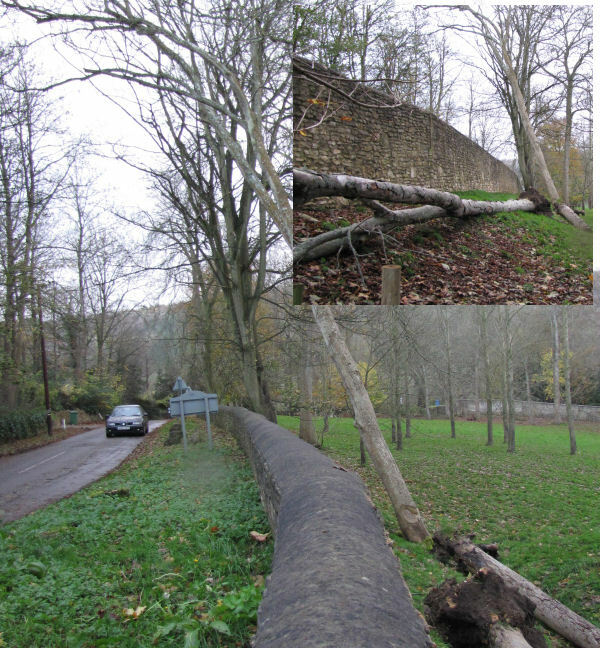 The photograph shows the sole remaining tree, one of two that were reported as being a menace to anyone using Staples Hill Freshford in Bath and North East Somerset and also Wiltshire. The trees are dead and could fall on Staples Hill. The trees are in BANES not Wiltshire. BANES did not take action on this report, or if they did what action? Who is responsible for road safety in BANES? If the remaining tree falls and injures someone. or kills them what will happen to the responsible person? Until this tree falls or is removed anyone using Staples Hill will be at risk when there are gales.